August 22, 2018 — 12th Montréal Pride Festival: A Resounding Success under the Theme of Harmony! July 30, 2018 — Women to Be at the Forefront of the Montréal Pride Festival! July 25, 2018 — An Ombudsperson and a Renowned Chef to Enhance The 2018 Montréal Pride Festival Team! 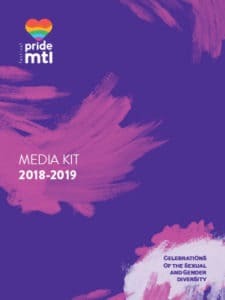 July 4, 2018 — Montréal Pride 2018 Festival : An Outstanding Program Based on a Rich Diversity and Parity! August 22, 2017 — The First Canada Pride 2017 A “Total” Success! June 15, 2017 — Over 200 Activities in Celebration of Sexual Diversity and Gender Plurality This Summer! June 8, 2017 — Montréal to Become Party Capital of All Rhythms and Beats For the First Canada Pride Montréal 2017!